© 2018 de Souza Brandão SA, et al. This is an open-access article distributed under the terms of the Creative Commons Attribution License, which permits unrestricted use, distribution, and reproduction in any medium, provided the original author and source are credited. The persistence and intensity of stressors, in addition to the characteristics and functions of each person, associated with efforts and failures to deal with stress and its consequences, can lead the worker to develop chronic labor exhaustion, reaching the most severe form of stress at work, the burnout. The dental surgeon is a victim of stress sources in the public sector. 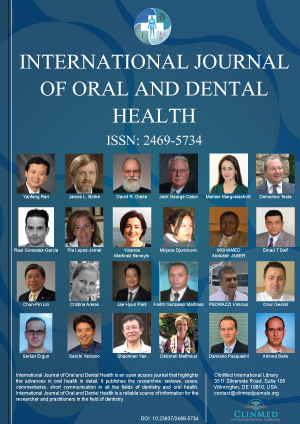 Identify the dentists who work in the Centers of Dental Specialties (CDSs) in the municipalities of João Pessoa and Cabedelo in Paraíba, Brazil, which are more likely to develop Burnout Syndrome (BS). The quantitative approach was chosen, with a descriptive character, with data collection via structured questionnaire (socio-demographic data and MBI-HSS). Thirty dentists volunteered, the majority being female (63.3%); Age group above 35 years (80%); 70% have Specialization; 13.3% Master's Degree, 6.7% PhD and 10% have another type of postgraduate degree. BS is a state of fatigue or frustration caused by dedication to a cause, a lifestyle, or a relationship that has failed to generate expected reward. It is not necessarily the result of overwork, but it configures a gap between the effort made and the reward received. Multidimensional syndrome or construct characterized by three components: Emotional/physical Exhaustion (EE), Depersonalization (DE), and Decreased Personal Accomplishment/personal involvement in work (PA). The dental surgeons who work in the CDSs: 6.7% showed signs of SB; 30% are at high risk; 20% in medium risk; and 43.3% at low risk of acquiring SB. They had high and medium level of EE and DE: 26.7% had high scores in the EE dimension (imbalance between individual and work, generating physical and emotional exhaustion), and 23.3% in DE dimension (consequence of emotional exhaustion); Already in the PA there was 50% of low level, being this dimension the most striking and worrying, to be analyzed inverted. CDSs intervention programs are needed, including prevention and control of BS, as well as developing coping skills to help professionals handle stressful work situations. There is an improvement in the social context and working conditions of those involved because it is not only an individual but an organizational problem. Stephanie Albuquerque de Souza Brandão, UNIPÊ-University Center of João Pessoa, Rua José Patrício de Almeida, 79/102. Jardim Oceania, João Pessoa, Paraíba, Brazil.